Protect your home from mold and mildew caused by excess moisture with the Winix 70BT or Winix 50BT Dehumidifiers. The Winix 70BT and 50BT Dehumidifiers are ideal for improving the conditions of damp and musty room like basements, bathrooms and laundry rooms, and also incorporate a washable Air Filter to help eliminate airborne bacteria for fresher more breathable indoor air. The Winix 70BT and Winix 50BT Dehumidifiers have virtually the same features with the only difference between them being their daily dehumidifying capacity – the Winix 70BT operates at 70 pints of dehumidification capacity per day while the Winix 50BT operates at 50 pints dehumidification capacity per day. 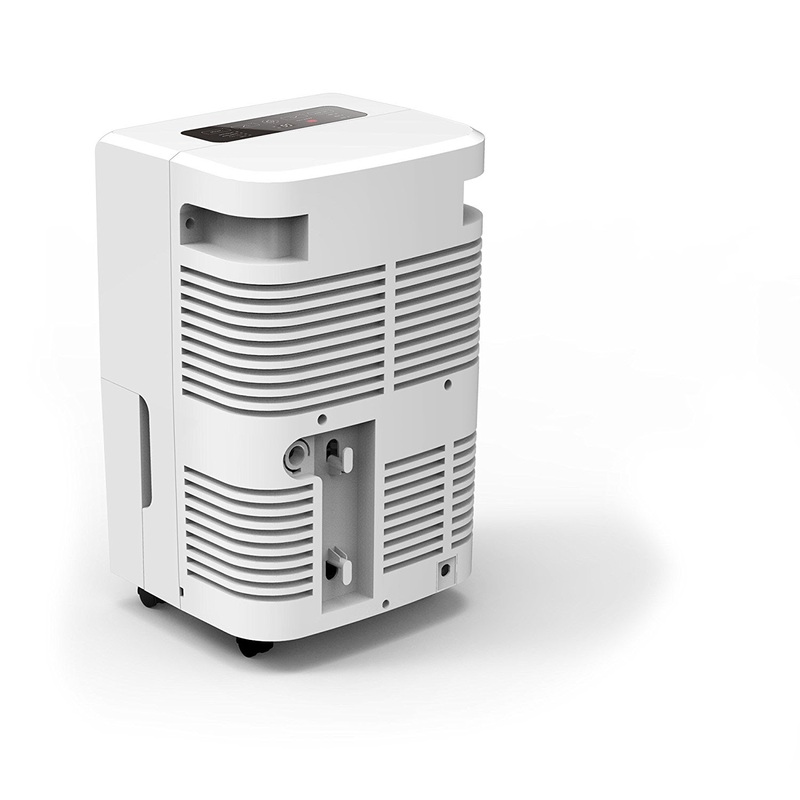 Both the Winix 70BT and Winix 50BT Dehumidifiers can be operated in Auto or Manual modes. They have an easy-to-use top-mounted electronic control panel and a digital display that shows the current humidity level in the room, utilizing Smart Humidity Sensors. In Auto Mode, the Winix 70BT and Winix 50BT Dehumidifiers work towards a 50% relative humidity level. In Manual Mode, you can set your own preferred humidity level from anywhere between 35% to 70% (selectable in 5% degree increments). 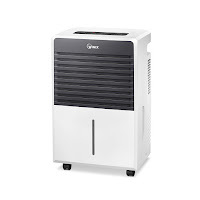 Both the Winix 70BT and 50BT Dehumidifiers allow you to select between 3 fan speeds (auto, high or low) and they both have a Cycle Timer for 3, 6 or 12 hours. Both dehumidifiers also have a Delay Start function with which you can delay the start time between 1 and 12 hours (in 1 hour increments). The Winix 70BT and Winix 50BT both feature a large 14.4 pint water bucket which is located at the front of the dehumidifier for ease of access. The water bucket on both units is coated with an anti-microbial CleanCel coating to help prevent bacterial growth. To prevent overflow, both dehumidifiers feature an Auto Shut-off function whereby the unit will turn itself off when the water bucket is close to full. The water bucket on both units also features a transparent water level indicator so you can see at a glance how full it is and there’s also a bucket-full indicator light on the control panel. Alternatively, you can opt to use Gravity Drain on both the Winix 70BT and 50BT Dehumidifiers, thus eliminating the need to have to empty the water bucket. 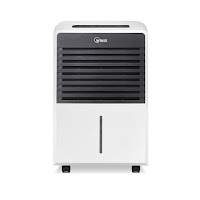 Simply place the dehumidifier near a suitable drain and attach a hose (not included) to the unit’s gravity drain connector. Both the Winix 70BT and Winix 50BT Dehumidifiers have been designed to operate in temperatures from as low as 36 degrees F up to 99 degrees F and both feature an Auto Defrost function. N.B. It’s always advisable to consult your doctor or health care professional if you have any concerns regarding your health. Always follow manufacturer’s instructions for safe use of dehumidifiers and other electrical devices. Comparing Frigidaire FFAD5033R1 versus Frigidaire FFAD3033R1 Energy Star Dehumidifiers, What's the Difference? Comparing Frigidaire FAD704DWD versus Frigidaire FAD504DWD Dehumidifier, What's the Difference? Comparing Ivation IVADH70PW versus Ivation IVADH30PW Dehumidifier, What's the Difference?